I was diagnosed with a form of Muscular Dystrophy (called Beckers, a milder form of Duchenne) at the age of 16. At the time I was quite fit, and well and then I began to have difficulties walking and general mobility issues. Everyone else my age was getting fitter and stronger and I wasn’t. I was having to stop doing things that I loved, like football and tennis. Over that period of time, I struggled with my physical and mental health and it took me to quite a dark place. I didn’t want to get involved with anything, and I wasn’t open about my condition, but after a few years of counselling and talking to various charity groups I was ready to take my next step to managing my condition and giving back to the community. A lot of people don’t realise that muscular dystrophy affects lots of different people, young and old, in lots of different ways. 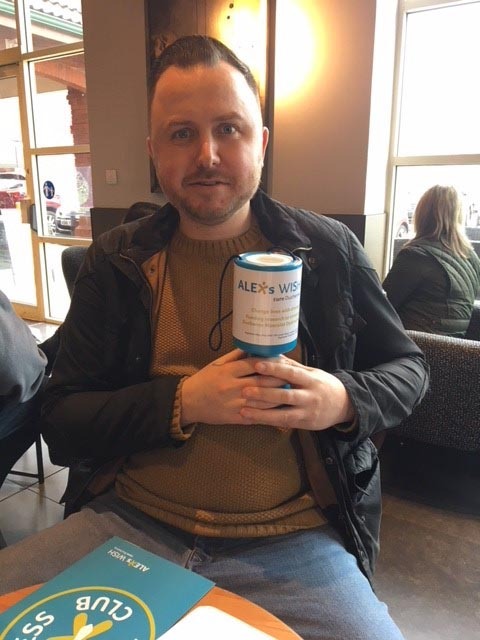 I have learn’t a lot from Alex’s Wish about the impact Duchenne can have on young children and their families, they have become a huge inspiration and the driving force behind the events I support and take part in. I want to help families with children who have more life-limiting forms of these muscle wasting conditions. They are facing potentially the early loss of a child and they need that support. I started a successful fundraising brand on social media called “The MD Fighter” and through this I have met with Emma Hallam (Alex’s Mum) several times. I was so pleased to asked to join the team because they are funding the ground-breaking research that is going to save lives and I am inspired by there fight and determination to do this. I can now continue putting my knowledge and experience of the condition to positive use so one day we can finally find a cure for Duchenne. Rich is taking part in a fantastic fundraising event in 2018 – The MD Fighter takes on the Lakes. On the 12-13th of September, Rich will be pushing himself to his limit completing various challenges in the Lake District. Over 2 days with the help of his support team , he will be abseiling, kayaking, sailing, forest biking, ziplining and completing a high ropes course in an attempt at raising £10,000.00 split 50:50 with Alex’s Wish and The Muscular Dystrophy UK. We wish him all the luck in the world – go Rich go!!! You can support him by donating online every single penny counts. Please join us in our fight and help us cure Duchenne.